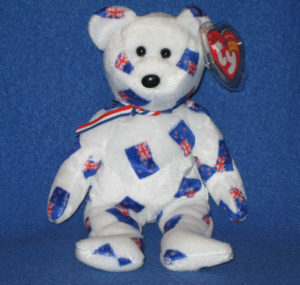 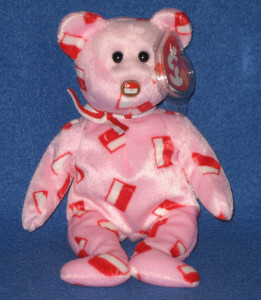 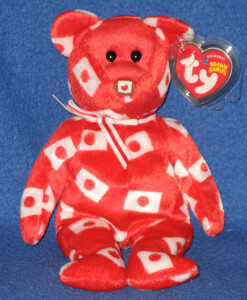 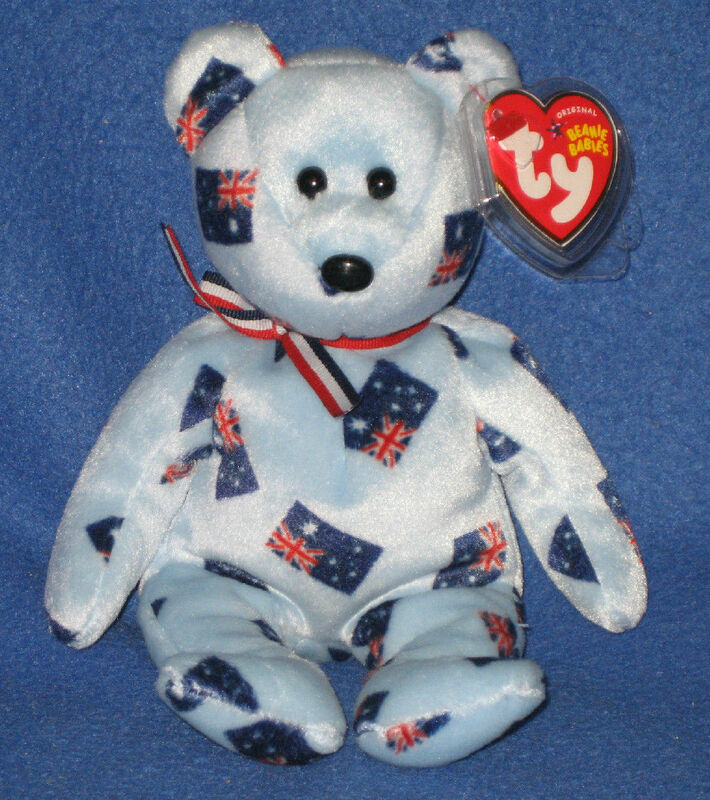 In 2005, Ty released 6 special Beanie Babies in the Asia-Pacific region. Each version has two variations. 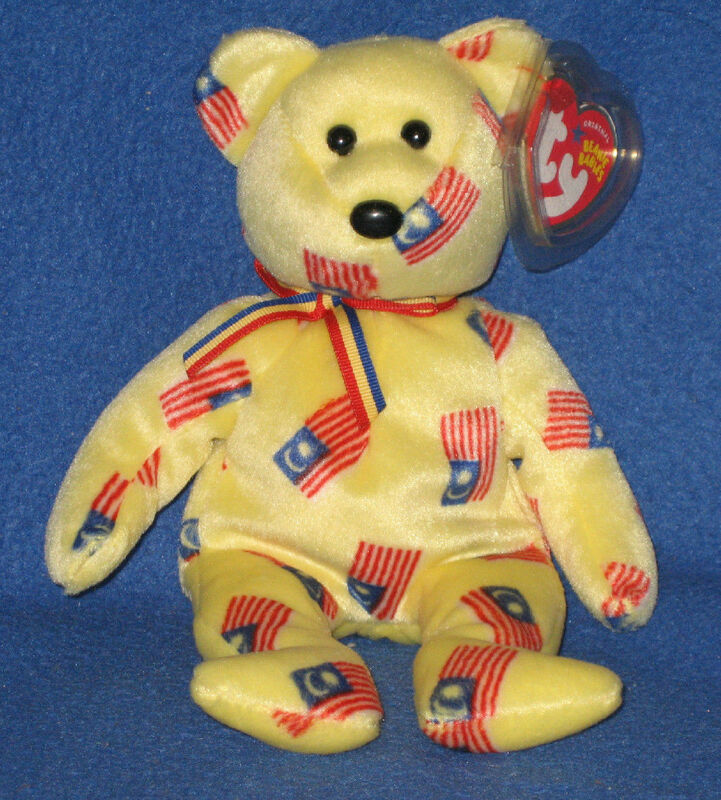 One with a black nose and the other with a flag nose. 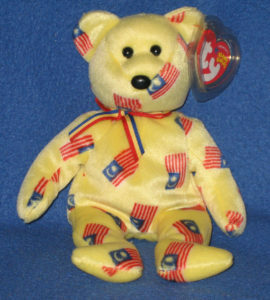 The ones with the flag nose are valuable and more rare. Black nose versions are only worth in the $8-15 range. 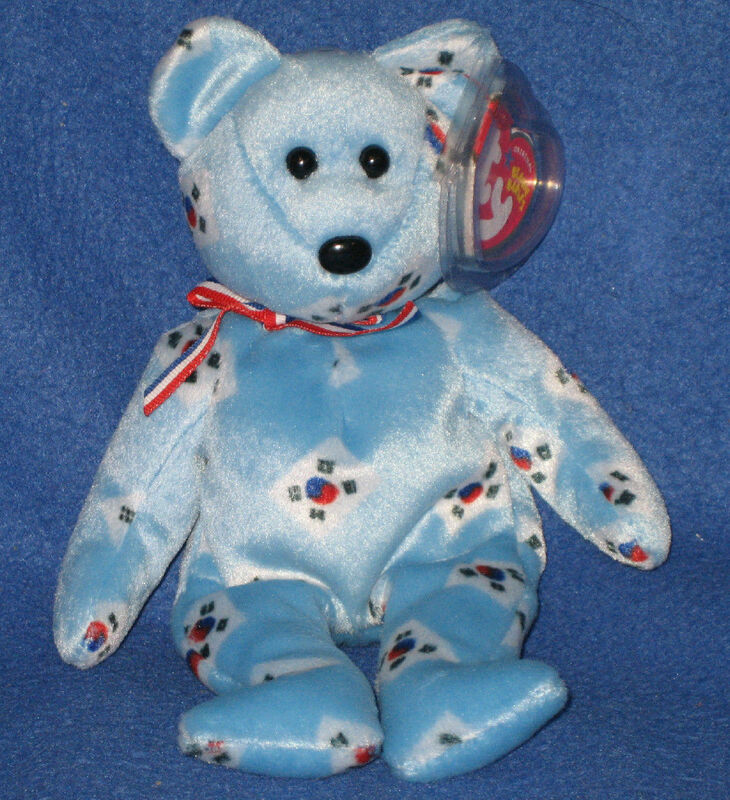 The six Beanie Babies in the 2005 set are: Aotearoa, Hikari, Korea, Maju, Negaraku, and Starry.